Install these corner protectors on the front edge of your pullout shelf to prevent scratches and dents to your cabinet doors. 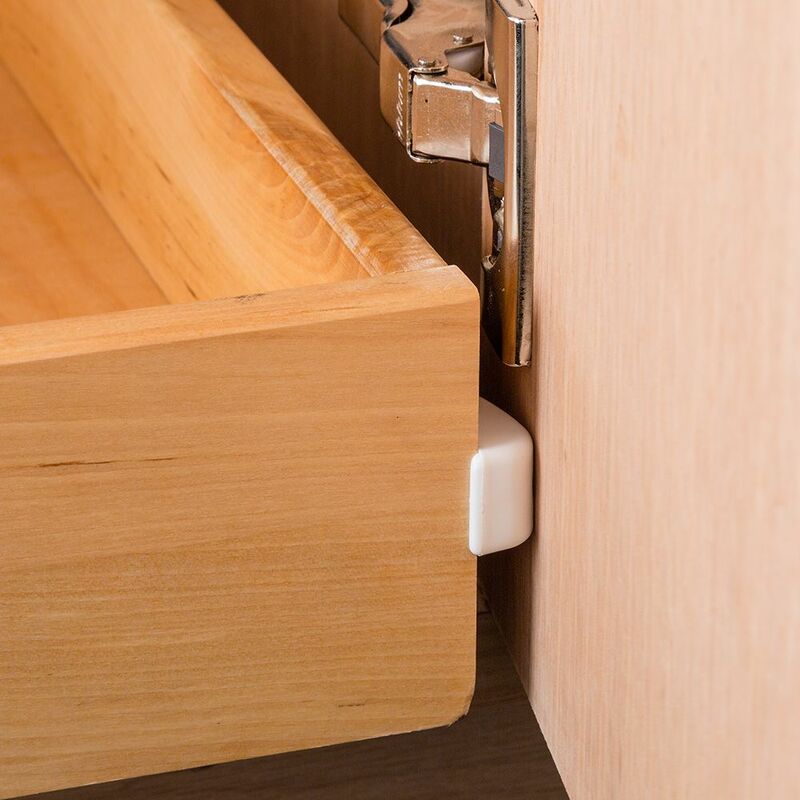 Nothing beats the easy-access of a pull-out shelf/roll-out drawer, but they can be hard on the inside of your cabinet doors if you don't take precautions. Fortunately, these little plastic corner guards are inexpensive and easy to install. Simply screw them to the sides of your pullout to protect your cabinet doors from scratches and gouges caused by sharp corners. If you accidentally fail to open the doors all the way, the rounded leading edges will gently nudge the door open without damage. 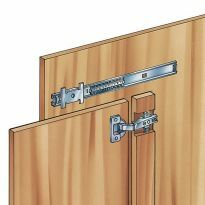 pull out shelves have metal frames that can gouge the doors if they have not been fully opened prior to pulling out the shelf. These guards can be placed so that they, not the metal, would make contact on a partially open door. these can be mounted on the side of the drawer or on the front, whichever is necessary to prevent gouging. Work as described for protecting inside of doors. 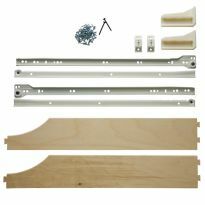 They were just what I needed for the pull out shelves I made, they protect the doors from scuffs when sliding the shelves in and out, I only wish they were available in Canada, they become expensive ordering from the USA. I got these as we have six full extension sliding draws in the kitchen. In the past the draws would catch and hit on the backsides of the raised panels on the doors. These solved that problem, and I only had to adjust the doors out a touch more for the perfect clearance on each side. The salesperson was very helpful in locating a pretty obscure product. Work perfectly. Easy to install. 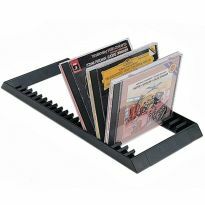 These plastic corner guards are a great idea. They actually do work well in keeping the interior shelf drawer from scratching or marking up the backside of the doors. They are a little too pricey at $5 a pair but you won't find them anywhere else. 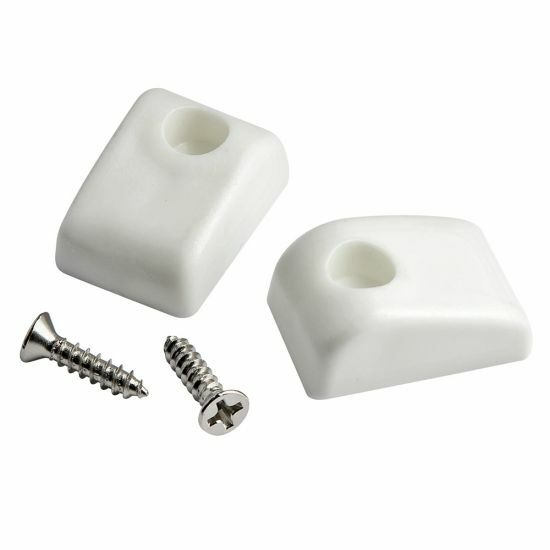 These help a lot when pulling out your drawers. Stops the sliders from scratching my doors. However, with continual use, the plastic guards will eventually scratch the doors but not nearly as bad as the slides themselves. Several have broken. Need a good product for a reasonable price. Hoping Rockler is the place to shop. These corner guards are the solution to my problem. Hard to find item. So I went to Rockler thinking they might have the item I need. They did. look like a much better alternative to my manufactured corner guards. These will fix a problem in our kitchen cabinets. Nice solution! I've had these before to protect my cabinet doors. Can't live without them. Now have new kitchen cabinets and they didn't put them on. Had to order some before my doors get ruined. I will not have much clearance on the door side of the cabinet and I don't want the pull outs scratching the doors. Have existing cabinet with slide out shelfs that have damaged the doors and I will be repairing soon. Customer damaged cabinet, frame and panel door. Because I thought they would work for me and I haven't seen them any where else. I have some on the side of some shelves, but will need some on the front edges to avoid further scratching of the doors. 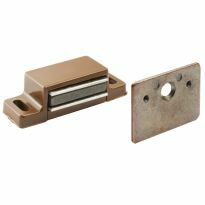 Prevents scratches on door when using extension slides & drawers. Good product. Used them before and work well. Because the corner of the drawer slide hits the door and then gouges the door back. I just installed drawers in my pantry, and see these guards being very useful in protecting the doors for the pantry, which I might add I just refinished!! I have used these before on pullout shelf. Work great and protect the finish on the door. I made lower cabinet drawers that hit the door. This will help keep them from scratching it. They have worked well for me in the past. 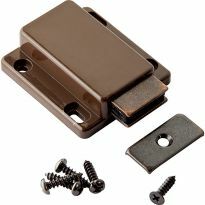 Bought these for several drawers in my fifth wheel and they work very well at not allowing my door to get destroyed from the metal slides hitting the doors. Needed 1 more pair to do all the drawers. 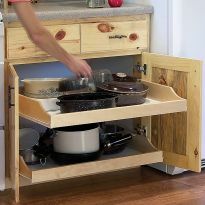 Fits a need I have for this product with newly built sliding shelves in a new cabinet. installed shelves, potential for scratching doors. these are installed on my pantry slide-outs. we have broken two in the last 12 years so I got some matching replacements. Thanks for the photo as I didn't know what they were called and no one at the big box hardware stores has seen them. 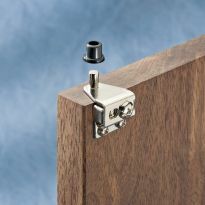 Helps to avoid damaging the cabinet door when pulling out the drawer and cabinet door is fully open.